Westland High School offers an interesting science curriculum as well as options for interested students to pursue extra opportunities in science. Westland High School supports students who have an interest in science to have access to external science-related opportunities. Read the following stories about science students who have been supported with additional opportunities to extend their learning. Maisie Hopkins, Kaitlin Keenan, Dominic da Via. 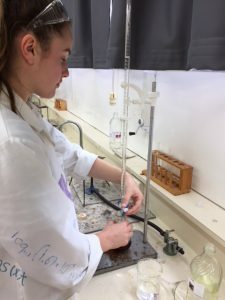 The middle school programme has the opportunity for students to learn more about scientific investigation techniques and follow an individual project through to presenting their findings at the West Coast Science Fair which is held in July each year.